Last season was a bit tough to predict the NFL Offensive and Defensive Rookies of the Year because the lockout robbed all rookies of OTAs, etc. In fact, because it wasn’t clear if the 2011 season would even start on time I wrote the Offensive and Defensive Rookie of the Year stories in May last year. Back then, I didn’t like Carolina’s Cam Newton because I believed a lockout would hurt a quarterback more than a running back or receiver because the QBs have so much more to learn. The initial favorite was Falcons receiver Julio Jones, who did have a very good season. My value choice was Dolphins running back Daniel Thomas. Unfortunately, Reggie Bush decided to have his best rushing season by far, so Thomas didn’t get all the carries I expected. Of course, the winner of last year’s award was Newton, who set numerous rookie records. Another reason I didn’t like him? I wrote: “It’s very rare that a top overall pick wins Rookie of the Year on either side of the ball.” And that used to be true, but Newton was the second straight No. 1 overall pick to be named Offensive ROY. That made the former Heisman winner only the second QB taken first overall (after Sam Bradford in 2010) and fifth No. 1 overall pick among all positions to win the OROY award. With that said, 2012 top pick Andrew Luck of Indianapolis is the 5/2 favorite at Bovada to be this year’s OROY. Luck is often compared to John Elway and Peyton Manning, but neither of those guys won that award. Working in Luck’s favor is that he will start from Day 1. He also threw a TD pass on his first throw of his first preseason game, for what that’s worth. 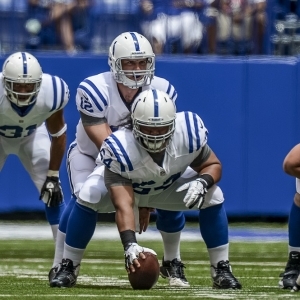 Working against Luck is that the Colts are going to pretty lousy and severely lacking in skill position talent around Luck, not to mention quality offensive linemen. No. 2 overall pick and reigning Heisman winner Robert Griffin III is the 7/2 second-favorite. I like him more than Luck because Griffin has more to work with on a better team in Washington. Plus, already Griffin, who already has been anointed the starter, is incredibly popular, and that never hurts. There are only two other QB options on this prop: Cleveland’s Brandon Weeden (8/1) and Miami’s Ryan Tannehill (12/1). Weeden also will start from Day 1 but has little to work with on the Browns. His teammate, running back Trent Richardson, is the 11/2 third-favorite, and I actually would like Richardson quite a bit on this prop if he didn’t already undergo knee surgery. He should be ready for Week 1, but still. A running back hasn’t won this award since Adrian Peterson in 2007. As for Tannehill, he has yet to win the Dolphins’ starting job, but David Garrard’s knee surgery helped his cause. It’s also probably a positive that Tannehill doesn’t have to deal with Chad Johnson any longer. But my pick is Griffin III. He would be the Redskins’ first winner since running back Mike Thomas in 1975. As for the defensive side, Panthers linebacker Luke Kuechly (4/1), Cowboys cornerback Morris Claiborne (6/1) and Patriots defensive end Chandler Jones (9/1) are the top-three favorites. Kuechly was a tackling machine at Boston College, setting ACC and school records for career tackles. In 2011, the two-time all-American won the Butkus Award, the Rotary Lombardi Award, the Lott Impact Trophy and the Bronko Nagurski Trophy. He will start immediately and looked tremendous in the Panthers’ preseason opener against Houston, including forcing an Arian Foster fumble on one tackle and also making a goal-line stop on Ben Tate. A lot of people are comparing him to Zach Thomas. Working in Kuechly’s favor is that a linebacker has by far won this award more than any other position (almost half), including every year but two since 2000. It would be pretty impressive for Carolina to have the Offensive ROY one season and then the defensive winner the next. The Panthers have one DROY in their history, Julius Peppers in 2002. Dallas traded up to get Claiborne, considered the top cornerback in the 2012 draft. He missed the Cowboys’ preseason opener with a sprained MCL, but he expects to debut Saturday against the San Diego Chargers. Claiborne also missed the entire offseason as he recovered from wrist surgery. Those seem like warning flags. A cornerback hasn’t won DROY since 1998. No Cowboy ever has, which seems rather shocking. The Patriots traded up to get Jones, and by all accounts he has been impressive in camp. Many are comparing him to the Giants’ Jason Pierre-Paul because both are 6-foot-5 athletic ends. Jones also should start Week 1 because the Pats desperately need a pass rush. They had only 32 sacks last season and team leaders Andre Carter and Mark Anderson, with 10 each, are both elsewhere. It’s going to be tough to beat Kuechly, but I might roll the dice on Ravens linebacker Courtney Upshaw at 12/1. The former Alabama star has been dinged up in camp with a shoulder injury and missed the team’s first preseason game but should play Friday vs. Detroit. Upshaw was a demon at Alabama and should be the replacement for the injured Terrell Suggs as the starting outside linebacker. And with all the talent around him, Upshaw could thrive and put up some nice sack numbers – he had 9.5 a year ago (and 18 tackles for loss) for the champion Tide. Voters for DROY love sacks.